The Browns announced that they have successfully claimed QB/WR Terrelle Pryor off the waivers after he was released by Cincinnati. Pryor who had until last week maintained that he was a quarterback only, has decided to change to wide receiver in an effort to stay in the league after being let go for the fifth time. Pryor who has one catch since getting drafted by Oakland in 2011, possess great size and speed to be a wide receiver at 6’4″ and 4.3s 40. The problem for Pryor though will he be able to catch up with the other receivers on the Browns roster? 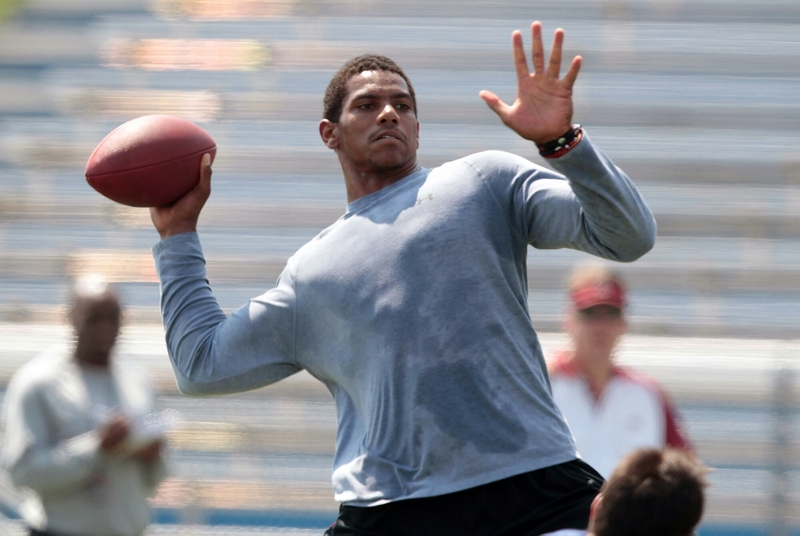 Pryor will have plenty of learning to do before training camp starts on the first of August. For the Browns it was a low risk flyer at a position so even if Pryor struggles they aren’t going to be stung. With such a steep learning curve the best thing for Pryor would be if the Browns or someone else kept him on their practice squad for a year. 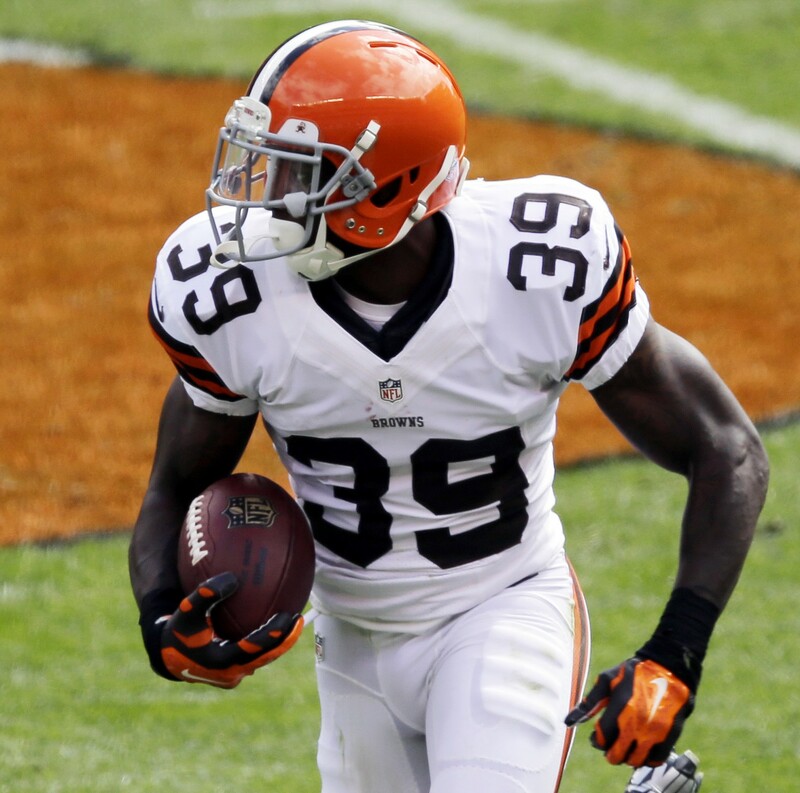 Tashaun Gipson signs RFA tender, is it a good or a bad sign? FS Tashaun Gipson will sign his restricted free agent tender on Monday and be in Cleveland on Tuesday to join up with the rest of the Browns for OTAs. Gipson had already skipped voluntary workouts and stayed at home in Texas in the hopes of getting a new long term contract worked out with the Browns. Gipson was reportedly upset that the Browns had only put a second round tender on him rather a first round tender which saved them around $650,000. The reason Gipson decided to resign now was that if he didn’t by Tuesday the Browns would have had the option of decreasing the tender to 110% of Gipson 2014 or $660,000. Obviously resigning Gipson for at least one more season is a good thing after his breakout season but I can’t help wondering if it is a good or a bad thing? It could be a good sign because it’s shows that he wants to be in Cleveland and is willing to work out a deal before or during the season. Rather than holding out through the rest of the OTAs and into training camp, he has decided to come back and help the Browns improve from last season. It also shows he doesn’t absolutely despise Cleveland and want to get out of here and there’s been no links with him to any other team either despite having the option to negotiate like Alex Mack did last year. This can only be seen as a positive in my eyes and shows how to Gipson wants to stay a part of one the best secondaries in the league. 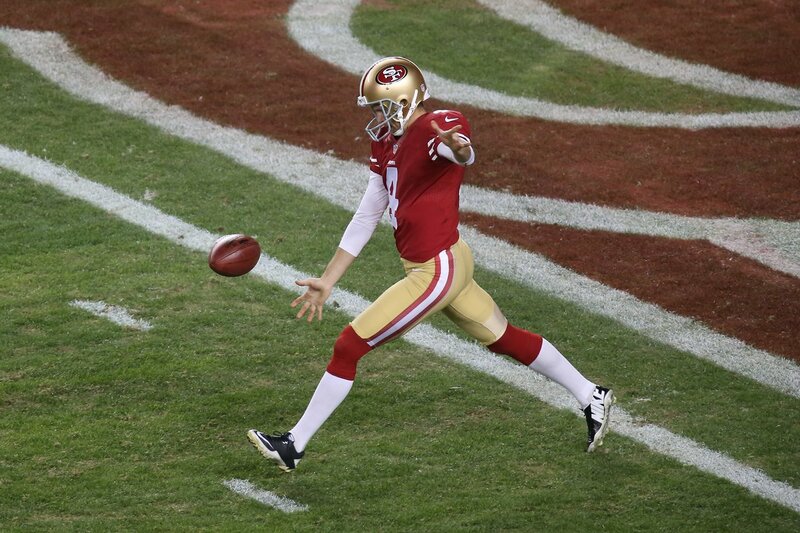 I feel a little uneasy about as well because it’s only a one year deal. To see Gipson leave as he reaches his peak because the Browns won’t pay him when the Browns have one of the best situations in the league would very disheartening especially given how he has repaid the faith the Browns placed in him when they gave him a contract as an undrafted free agent and become a top 5 player at his position. To lose their Pro Bowl Free Safety would be a massive blow to Mike Pettine and his defence. While I understand that holding out is one of the few pieces of leverage a player has it still concerns me considering it has been about three months since the Browns offered the tender to Gipson and there must be a fundamental difference in how much Gipson should get paid. Gipson would probably be aiming at deal similar to Devin McCourty’s 5 year $45 million deal and I would be inclined to agree with him. GM Ray Farmer might be wary of giving such a deal though and might be thinking closer to $30/35 million over 5 years. Although I do think that Gipson will get a new deal in Cleveland and will be here to stay, I think he may play out the tender to put pressure on the Browns to pay him. Despite the GAA announcing earlier that the game was cancelled and won’t be on this year, Boston College and Georgia Tech will play in Dublin in 2016 but in the Aviva Stadium rather than in GAA headquarters. The announcement was made with the sponsorship of Aer Lingus and additional government funding. This will be the third time in five years that college football has come to Dublin. 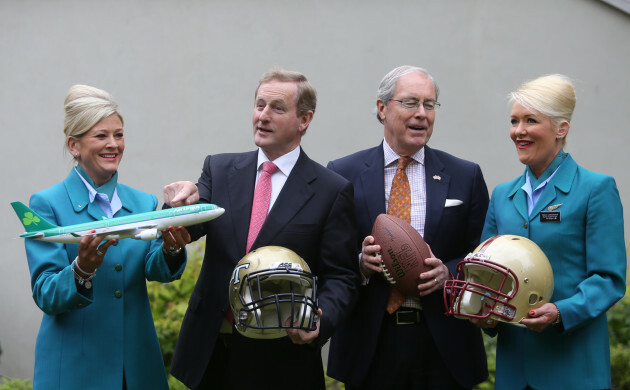 Boston College will the home team with the Eagles already having a campus in Dublin. The game will kick off at 12.30(7.30 ET) on September 3. The game counts as one of Boston College four conference home games. Georgia Tech leads the series 6-2 and just came off an Orange Bowl victory for the first time in 63 years. #CLE Been a hell of a ride. Y'all deserve a championship, hate I won't be here to experience it. Can't thank you enough for the memories!